Recently, my Cinderella inspired styled photoshoot was featured on Martha Stewart’s Wedding Blog. I had a vision of a royal wedding inspired by the French fairy tale Cinderella in May of 2015. As many know, Cinderella is the story of how a beautiful young woman broke free from the restraints of her cruel stepmother to achieve true love with her Prince Charming. This photoshoot was inspired by the dress that the Fairy Godmother magically created for Cinderella and the royalty of Prince Charming, I chose to use light blue and gold for the shoot. These two colors created a beautiful union, similar to when two people are brought together in ceremony. Meanwhile, golden touches intertwined with romantic candles, lush florals and seas of blue linen. As a result, the Cinderella inspired styled photoshooot mixed a light, traditional, classic wedding style with modern touches. However, the attire was the highlight of this inspired photoshoot. Hayley Paige’s bejeweled bodice gown was the showstopper. But the mismatched bridesmaids’ dresses modernized the elegance of the fairy tale wedding. ML Monique Lhuillier’s pink and yellow dresses brought different touches of color and flair. The high-low bridesmaids’ dresses packed a visual punch and brought a fun, spring-summer aura to a romantic, traditionally classy Cinderella-styled wedding with finesse. Mary Jane Photography captured the vision. Justin Vineyards and Winery in Paso Robles, California provided the fit-for-royalty venue. Photos from the Cinderella inspired styled photoshoot can be seen here. 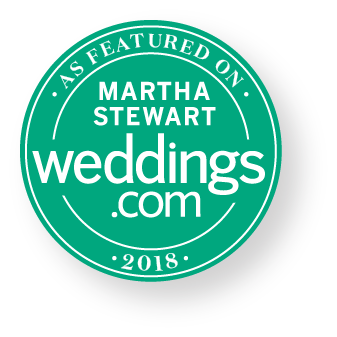 And, to see the feature of mismatched bridesmaids’ dresses, head over to Martha Stewart Weddings. Selena Marie Weddings & EventsLet help you plan your wedding or your next eventand make it unforgettable.